You probably already know about the amazing benefits of green tea, but have you tried matcha? Matcha green tea is grown and processed in a unique way to yield even more benefits. We talked about it a while back in this post. 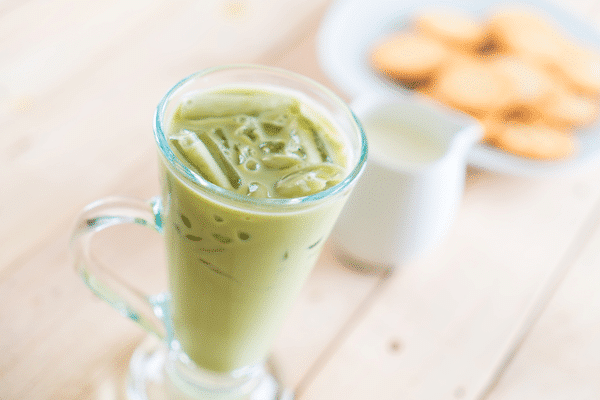 Some of us in the office drink matcha green tea occasionally, but we were interested in learning more about its health benefits and having some simple recipes that would make it easier for us to incorporate it into our routines. We decided to call on our friend Dr. Mariza Snyder to give us some tips. Mariza is a natural health practioner who, a few years ago, started researching the unique health benefits of matcha green tea. She wanted to know how adding it into her daily routine would improve her health and the health of her patients. You can learn more about her here. After learning about how matcha can prevent inflammation-realted illnesses and experiencing the focused energy she got from drinking it daily, Mariza knew that others would want to experience the same. She teamed up with a renowned chef and set out to write her most recent book, Matcha Miracle. With over 50 quick recipes that incorporate matcha, her book helps you experience the energy, strengthened immune system, and anti-inflammatory benefits of matcha tea. 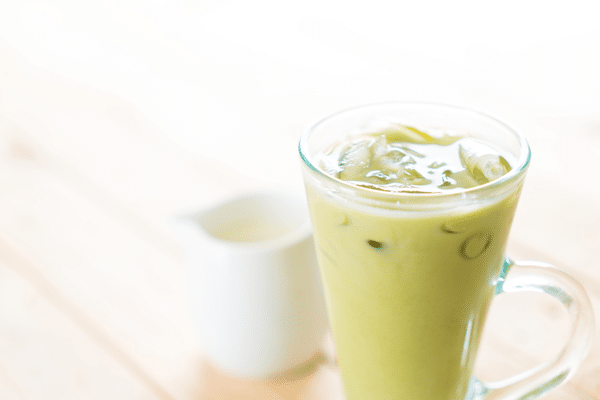 She's letting us share one of the recipes from Matcha Miracles below, for a Vanilla Nut Milk Matcha Latte. My goodness is it good! Below the recipe, you'll see a video of Mariza's visit to our office, where she showed us a couple easy ways to prepare matcha. Serves 2; Serving size: 8 oz. Heat water in a small pot over medium heat, removing from heat just before boiling begins. Place ½ tsp of Matcha powder into each of 2 teacups. Add 2 oz of hot water to each cup and whisk until frothy. Add honey at this point if desired (the heat will help dissolve the honey). Then add ice to each cup and pour milk over ice. Enjoy immediately. Tip: The almond milk can be replaced with any other type of milk, dairy or non. Do you use matcha green tea? Tell us your favorite recipe in the comments below! Coloring your hair with tea and coffee is not a good idea..
.No. 1: Too much caffein can go into your bloodstream via skin contact. Stick to the more well known herbs. Forget Lemon Juice, you will just make hair dry. If you must use, add a pinch of oil Not coconut oil, not any citrus oil. Do not get on skin either,, Do not sit in sun with any of the above: Lemon, coconut oil, citrus oils on the skin or you will be sorry for a very long time. Please do not get me wrong: I like your recipes and your website. I am just trying to help. What about caffeine content of macha?? Is there a macha without caffeine? How much water was used to make the Green Smoothie? I did not hear you say how much water was already in the blender. I am anxious to try this! The recipe calls for 2oz of filtered water. Does the matcha powder have to be disolved first in hot water? I have been adding the powder to my cold juice in a blender then when it is disolved I add my reset 360 shake powder from Dr sara and finish blending. Am I missing some health benefits by not disolving in hot water first? Great question! Because Matcha is so refined, you don’t have to dissolve it first, it is very bioavailable without dissolving it. Are you concerned at all with these tea leaves being grown in Japan where The effects of Fukishima may have contaminated these leaves with radiation? I’d love to try some, but am defiantly concerned about that. Great timing! I just made my first cup of Matcha this morning. Can’t wait to try these new recipes! Can someone with adrenal issues drink this tea? Since we’re not sure what your adrenal issues are, we’re not sure. I would suggest chatting with a holistic practitioner if you wanted to add this to your routine. I also make green smoothies with matcha every morning. I add Hydrolized Collagen, Chia Seeds, cinnamon and half an avocado. Having had breast cancer and a thyroid condition matcha has become my friend. Can you suggest a good Matcha Green Tea Brand? GMO Free, Radiation Free, Organically & Sustainably Grown? Hello! Jennifer – I love USDA Organic matcha green teas from gotmatcha.com. I have tried their Matcha Ceremonial Green Tea, as well as the Matcha Chai. I will eventually try some of their other blends, i.e. Matcha Cacao, Matcha Pumpkin-Spice, Matcha Lemon-Ginger, Matcha Mint, Matcha Cafe-Mocha and Matcha Caramel-Apple. Their ceremonial matcha tea has a strong taste and it takes some getting used to, especially for those who are not used to drinking green tea. Got Matcha says…”Purveyors of the finest quality organic Japanese Matcha Ceremonial Green Tea in the world.” I love the Matcha Chai and I drink it as a latte with almond or coconut milk, in a bowl. Sublime! Hi !! Great video!! I noticed at the beginning of the smoothie she had added water already in the blender.. do you know how much she added? How have I not thought to do this before! Tried this this morning, and it was amazing! Thank you so much for sharing.